White House doctor Ronny Jackson, chosen as the next permanent secretary of the Department of Veterans Affairs. 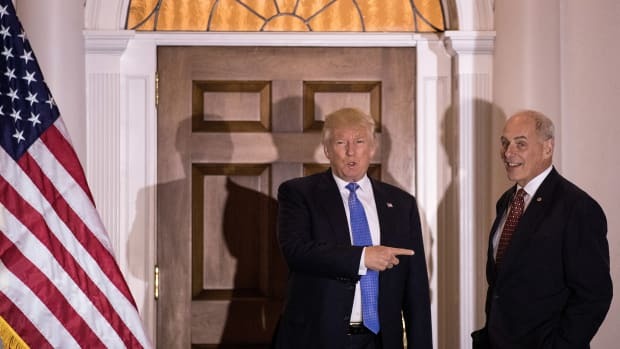 White House Chief of Staff John Kelly contradicted the White House&apos;s claims about David Shulkin&apos;s departure as secretary of veterans affairs, a discrepancy that could lead to legal challenges of decisions made by Shulkin&apos;s interim successor. 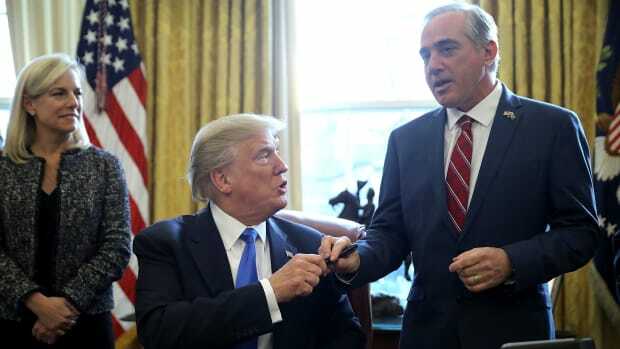 "Kelly said the president felt he needed to make a change with Secretary Shulkin and went ahead and made it to get the VA back on track," said Dan Caldwell, the director of influential conservative group Concerned Veterans for America (also known as CVA), who attended the meeting. The distinction isn&apos;t just a matter of semantics. Under the Federal Vacancies Reform Act, the president can appoint an interim successor to succeed a cabinet secretary who dies, resigns, or can&apos;t perform his or her duties. But it doesn&apos;t say what happens if the secretary is fired. 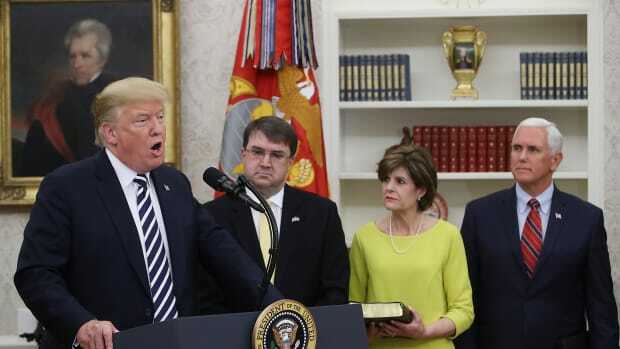 It&apos;s unsettled legal territory, but some scholars say it could open the door to challenging decisions made by the person Trump appointed as acting VA secretary, Robert Wilkie (an official in the Department of Defense). The argument would be that Wilkie lacked proper authority to make the decisions in question, the scholars say. Opposition to Wilkie surfaced rapidly. Amvets, one of the largest veterans advocacy groups, called on Trump to remove Wilkie and instead elevate the VA&apos;s deputy secretary, Tom Bowman. 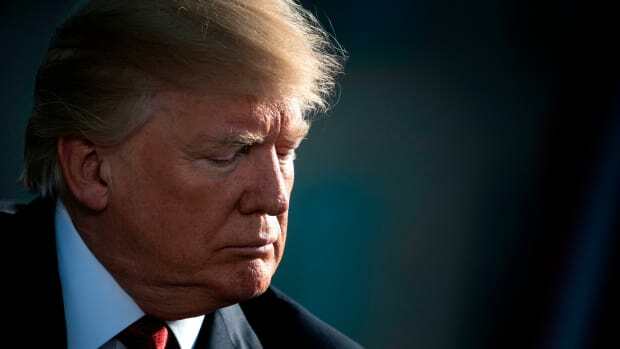 "This is what common sense, veterans and the law all require, and it needs to happen now," Amvets national commander Marion Polk wrote in a letter to Trump on April 3rd. Bowman, a former senior senate staffer, is popular with traditional veterans groups and on Capitol Hill. But, like Shulkin, he clashed with White House aides over legislation that would increase the use of private health care in the VA system. CVA and many veterans organizations are on different sides of the privatization debate. CVA advocates for a larger role for the private sector in veterans&apos; care. For their part, traditional veterans groups support a central role for the VA because the government-run health system remains popular with their members despite recent scandals. "I hope his legacy won&apos;t be that he was the first to bring the Koch brothers into the VA," Amvets executive director Joe Chenelly said of Wilkie. Caldwell criticized veterans leaders for focusing on seating arrangements instead of policy. "The fact that there are people complaining about that shows you how misplaced their priorities are," he said. "If there are leaders of veterans organizations who believe that placement at a table is going to determine priorities, then their competence to run those organizations should be questioned." Wilkie has already worried some veterans advocates. His first official public statement marked the anniversary of a massive scandal at the Phoenix VA four years ago. 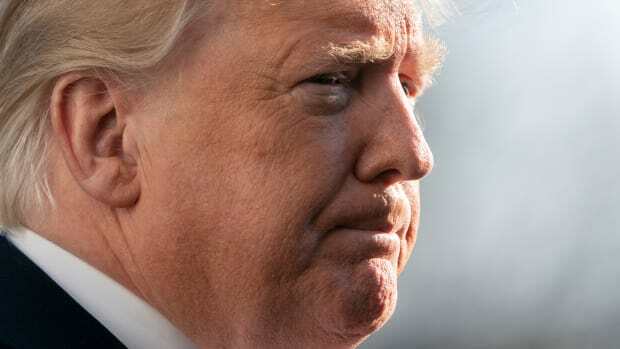 In the statement, he called on Congress to pass legislation that would increase the use of private care, which has been stalemated for months. In a rare alignment, veterans groups including Amvets and CVA endorsed a compromise that would have been attached to last month&apos;s spending package, but House Democrats blocked it. At the recent meeting with Wilkie, the veterans groups generally agreed to proceed with that compromise. But some were also unnerved by the presence of a colonel in uniform as an adviser to Wilkie. 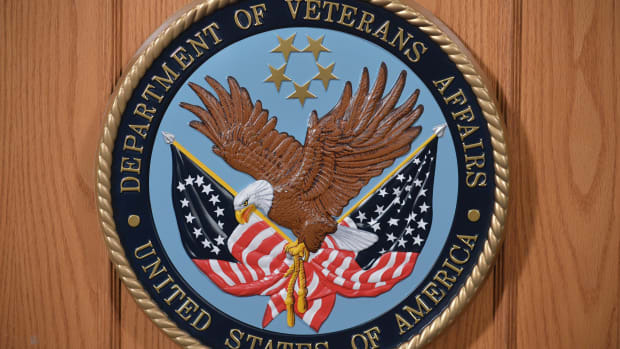 One participant described it as "DoD is running VA." That idea is more sensitive than it might sound because the White House has floated the notion of merging the VA with the Pentagon&apos;s health insurance system, known as Tricare. Some veterans groups warn that would increase privatization and out-of-pocket costs. VA spokesman Curt Cashour said there is no plan to merge Tricare with the agency&apos;s program for buying private care. It&apos;s unclear how long Wilkie might serve as acting VA secretary. 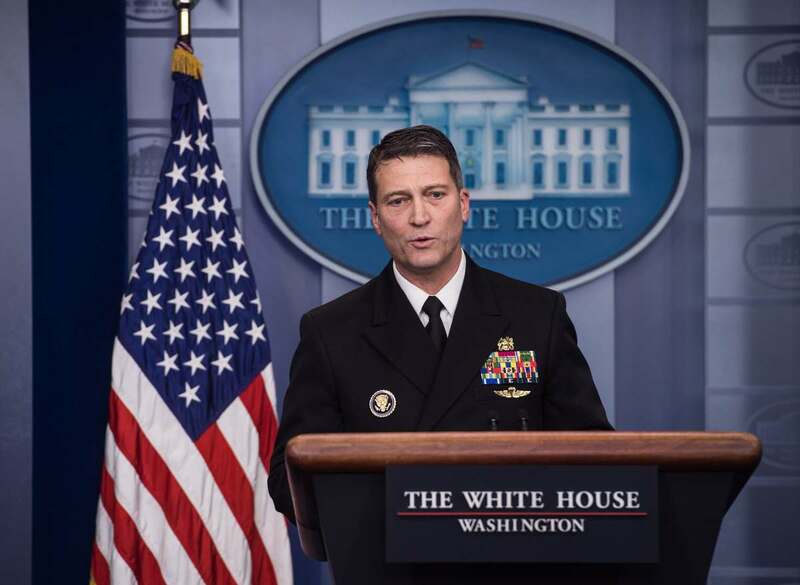 Lawmakers have expressed reservations about Trump&apos;s choice of a permanent successor, White House doctor Ronny Jackson, who has unknown policy positions and no major management experience. Johnny Isakson, chairman of the Senate Committee on Veterans&apos; Affairs, said he&apos;d like to hold Jackson&apos;s confirmation hearing on April 25th if the White House submits the required materials in time. But Jackson was not among 29 nominations formally sent to the Senate last week. A White House spokesman said the materials would be ready in time. This post originally appeared on ProPublica as "White House Chief of Staff Contradicts White House Claim on VA Shake-Up" and is republished here under a Creative Commons license. The story of the former CIO is an illustrative example of how Trump has appointed political allies to leadership positions in the VA, leaving veterans to suffer the consequences of poor leadership and political infighting.